How to make Eevee viewport background transparent? I would like to view my meshes in Eevee rendered viewport with an alpha background when using HDRI lighting. 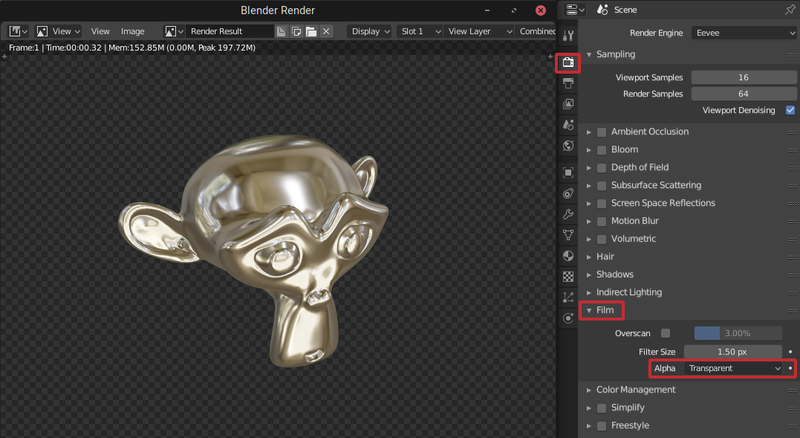 How do I use HDRI lighting without seeing the HDRI image in the background of my Eevee viewport? 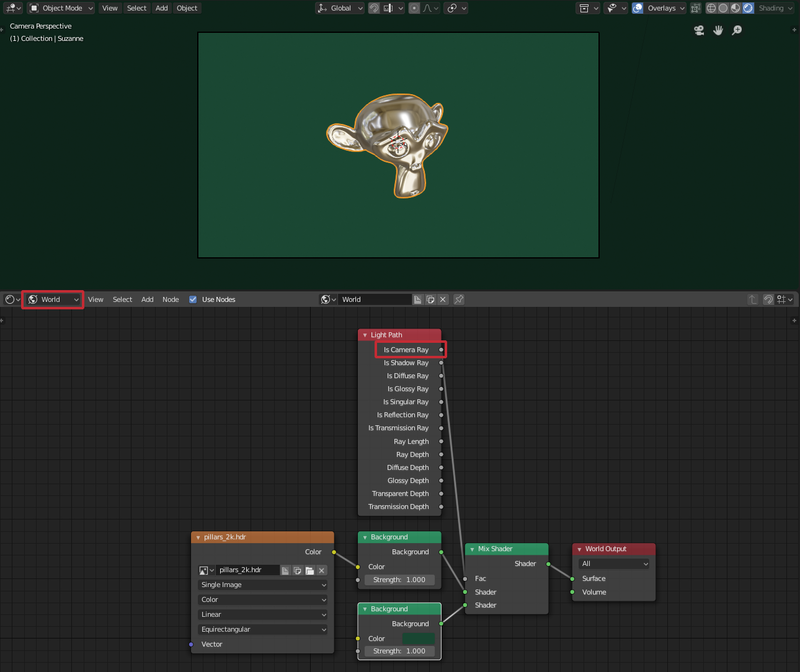 You can use chosen color for EEVEE viewport using Light Path trick. In the Shader Editor, go to World view and mix HDRI Background with Solid Color Background using Is Camera Ray. This way your HDRI will have influence over the scene, but it will not be visible in viewport/camera. To make it transparent you can set Alpha in Solid Background Color to 0 but it will be pure black color then. Not the answer you're looking for? Browse other questions tagged transparency eevee or ask your own question. How to remove background colors in antialiasing pixels in Eevee? How to set two different HDRI, one for environment lighting, and another for background, in 2.8 using Eevee?